Daryl Johnson (Worcester Park, United Kingdom) on 10 November 2010 in Documentary & Street. Nice serie of pictures on Paris. 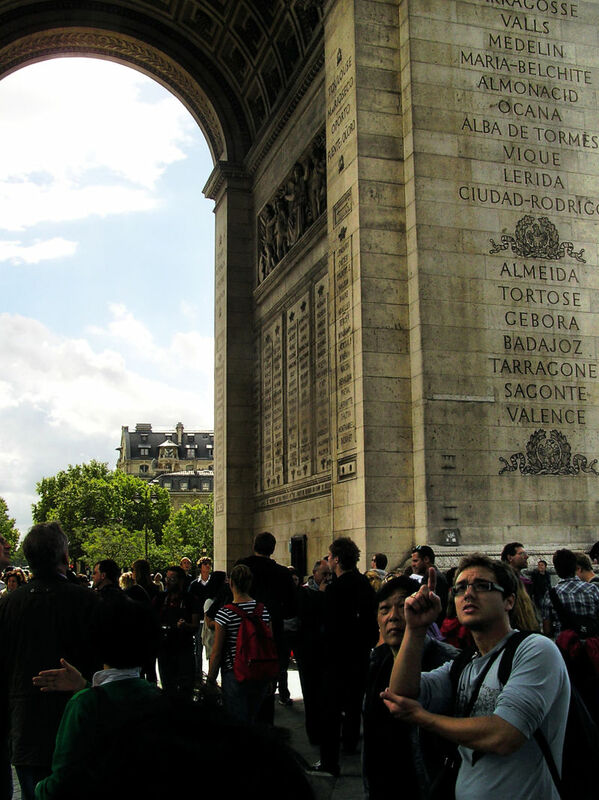 Parisian people don't go until the Arc de Triomphe as the access is from underground, they are all tourists. @akarui: Thanks Olivier - yes; pretty much all tourist there as far as I could tell! "What is that word up there? Oh, you aren't French are you?" Cool shot! Tourists will gather here until....the end of time! Fine capture with the tourists!